Keeping Safe and Sound in the Hospital: What You Need to Know! Did you know that medical mistakes are the 3rd leading cause of death in the U.S.? Mistakes can happen when little things fall through the cracks especially during busy stressed hospital care. 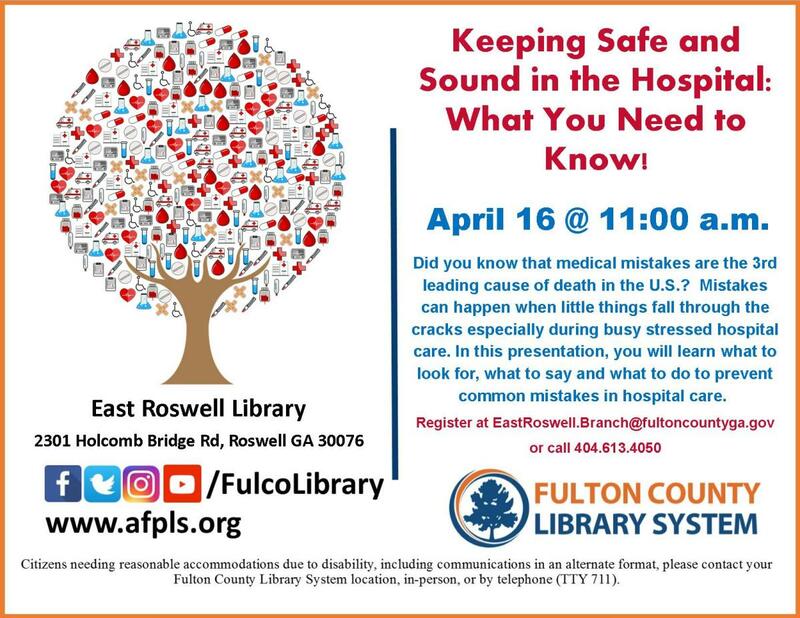 In this presentation, you will learn what to look for, what to say and what to do to prevent common mistakes in hospital care. Everyone leaves with new skills, new resources, and new confidence to be effective advocates for themselves and their loved ones.